L.L. Cool J stopped by MSNBC's "Morning Joe" on Thursday to -- what else? -- promote a project with MasterCard, but he ended up doing more than that. In addition to getting in a couple extra plugs, he managed to redefine his place in the hip-hop hierarchy and take time out to celebrate Michael Jackson's impact on him. "He got me a Grammy," L.L. said, explaining that Jackson's contribution to his career went beyond "influence." Indeed, "Hey Lover" rode a "Lady in My Life" sample to Best Rap Solo Performance honors in 1997, but to be fair, L.L. already had earned a Best Rap Solo Performance Grammy for his trophy case in 1992 all on his own, thanks to "Mama Said Knock You Out." L.L. added that he thought "Thriller" was the peak of the old school music industry. Showing what a savvy, seasoned pro at working the media he has become, L.L. somehow managed to work in references to a digital distribution network and his new starring role in "NCIS: L.A." on CBS. But the bombshell L.L. dropped might have been this: "I'm no longer trying to compete musically. I'm not delusional." 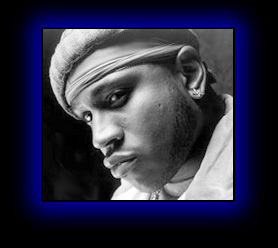 While it might sound disappointing at first coming from a fierce competitor who took on all challengers in his hip-hop career, true fans have to hope that this means in the future he'll do the music he wants to do and not the music he (or his record company) thinks is the most commercially viable, as has been the case on recent albums Todd Smith and Exit 13. We're ready for another classic, Uncle L, even if we're still waiting for the answer to that Kool Moe Dee question.